The Gizzards stew is a delicious Chinese recipe I tried it on during my first travel in China. I love to recreate this dish in my house every time I miss Shanghai! The taste of chicken gizzards is very strong and particular, but it will worth any minute you will spend into the kitchen! One of the most important steps of this recipe is the marination to clean the gizzards deeply. Chinese cooking wine is the most flavorful ingredient. 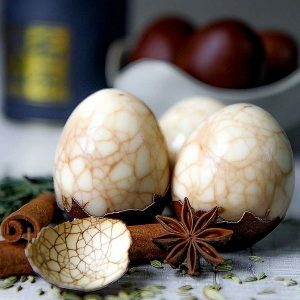 It is easy to find in the Asian groceries or online, and it will move up a gear to all your Asian recipes, guaranteed! Wash thoroughly the chicken gizzards. Then, eliminate any part of the stomach and eventual remaining feed working with a sharp knife. Now, pour the gizzards into a bowl and marinate 1 hour into a solution prepared with 2 cups of rice vinegar and 1 quart of water. Peel the onion and reduce it into thin slices, peel and crush the garlic. Finally, cut the baby carrots into sticks. Now, pour 4 tbsp of sesame oil into a saucepan and place over medium heat. 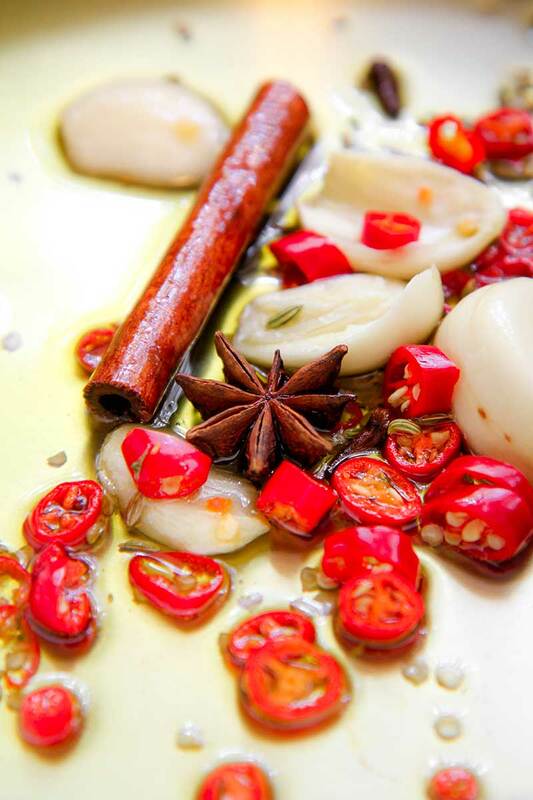 Saute the crushed garlic in the oil until golden, then add the stick of cinnamon, chili peppers reduced into rings, anise star, cloves, fennel seeds, and Sichuan pepper. Stir fry garlic and spices about 5 minutes, then add sliced onion and carrots. Stir fry 3 minutes more. When spices and vegetable are ready, pour them into a covered bowl. Now raise the chicken gizzards and dry them with paper towels. Pour 4 tbsp of sesame oil into the pan and stir fry gizzards over high heat until they have lost almost all the water. Now, add Chinese cooking wine and sweet soy sauce. Stir fry 5 minutes more, then low the heat at the minimum and add stir fried spices and vegetables. Cover the pan with a lid and cook 1 hour more. If the sauce comes too thick, add a few tbsp of hot water. Meanwhile, gizzards stew is cooking, toast the sesame seeds in a little pan. 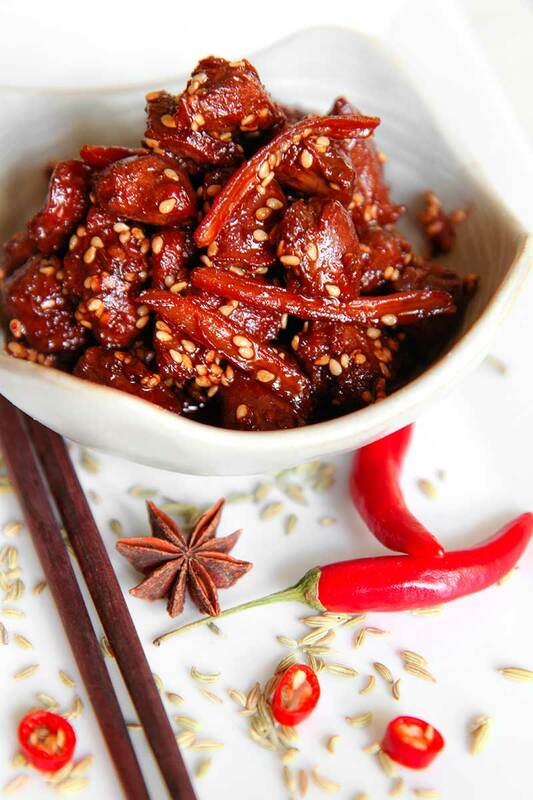 Finally, when the gizzard are ready, and the sauce is thick as perfection, add toasted sesame seeds and stir-fry a couple of minutes. Serve gizzards stew immediately. 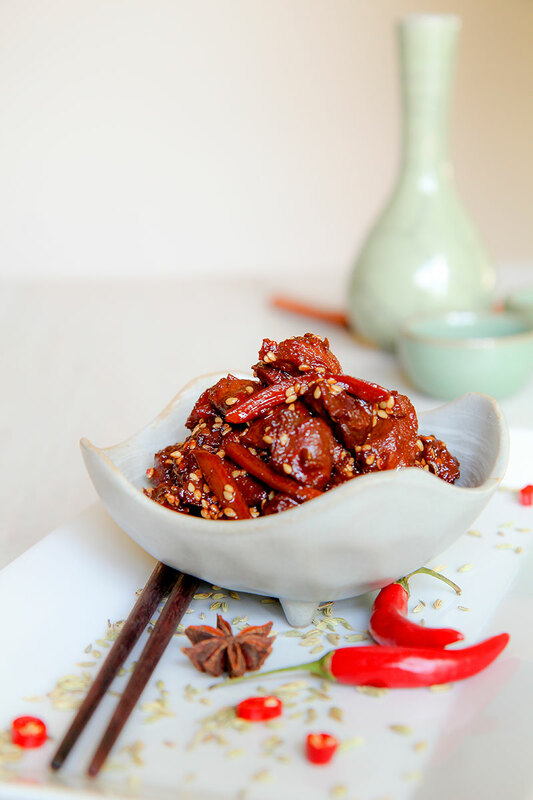 This Gizzard stew is a delicious Chinese recipe I tried it on during my first travel in China. I love to recreate this dish in my house every time I miss Shanghai! The taste of chicken gizzards is very strong and particular, but it will worth any minute you will spend into the kitchen! 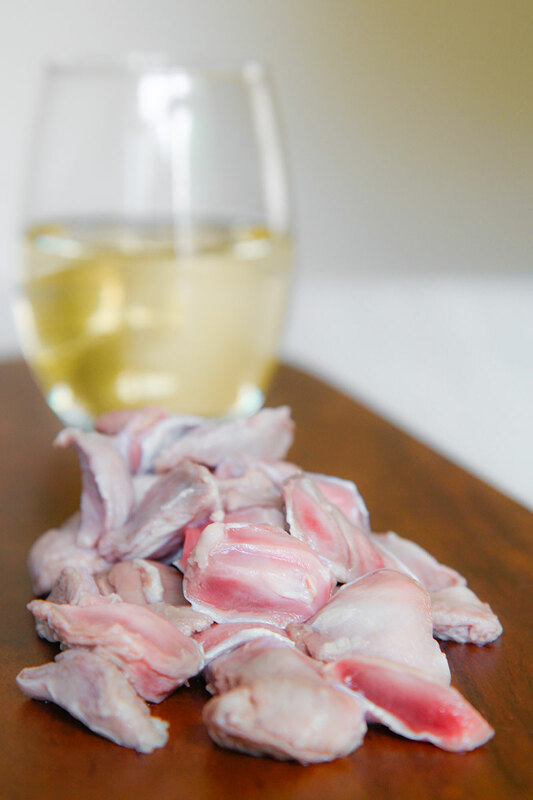 One of the most important steps of this recipe is the marination to clean the gizzards deeply. Chinese cooking wine is the most flavorful ingredient. 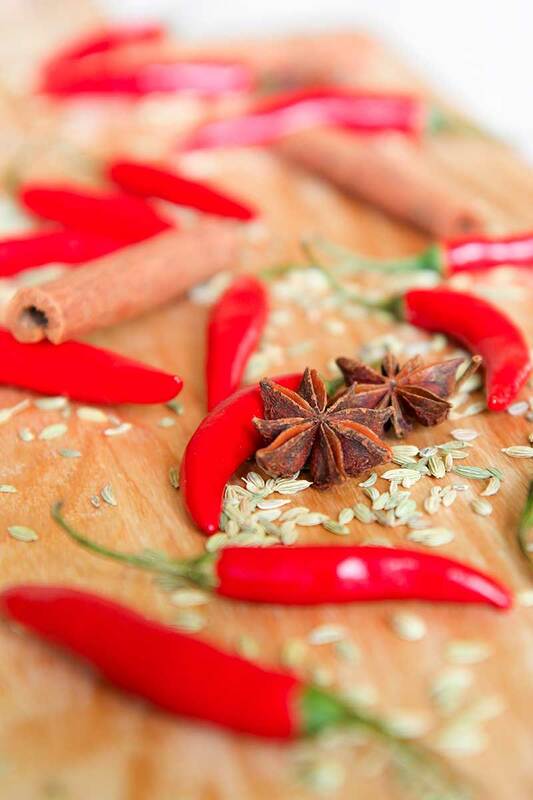 It is easy to find in the Asian groceries or online, and it will move up a gear to all your Asian recipes, guaranteed! This turned out really great and it’s a great turn on Asian Gizzards. The only problem I saw was that even though fennel was listed in the ingredient list, you don’t mention it in the cooking instructions. It’s probably an oversite, though, after smelling how well paired with the sauce, I went ahead and used the portion you listed. The only difference, is that by the time I noticed the error, I had already browned the spices and they were covered and resting. Nevertheless, the dish turned out exceptional. Thanks for the recipe! I’m very happy you loved my recipe; if you find some other recipes you like, just let me now!